One great advantage of the dining plan is the fact that dessert is included! This means you get to try fabulous desserts with both lunch and dinner. Here is a list of my top 5 favorite desserts at Walt Disney World. 1. Cupcakes! You can get fabulous cup cakes at many quick service dining locations. 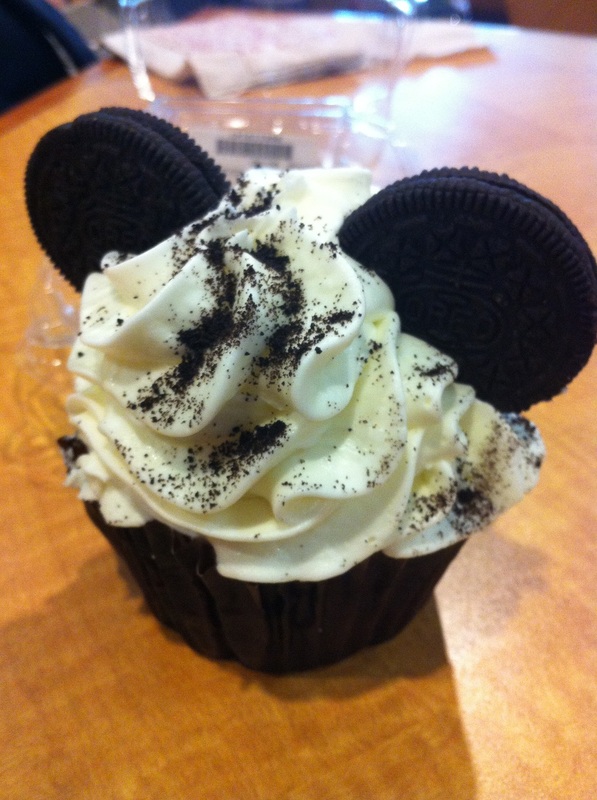 Disney cupcakes are not like normal cupcakes, they are extra sweet and 4 times as big! If you are dining at your resort, you may want to consider taking your cupcake back to your room to refrigerate for sweet snacking later on. 2. Pineapple Bread Pudding With Bananas Foster Sauce at ‘Ohana- YUM! This dessert is sweet, sticky, and absolutely delicious. This dessert is included in the family style dinners at ‘Ohana. You will be served the pineapple bread pudding and get to drizzle the bananas foster sauce on til your hearts content! Do not be afraid to ask for seconds! 3. S’mores at 50’s Prime Time Cafe- Its nostalgic and delicious. Where else can you enjoy a perfect s’more without risking burning your hand over an open fire pit. This dessert is a must have for anyone dining at the Cafe while touring Hollywood Studios! 4. Baklava– Granted, I’ve had a thing for baklava since eating it in Greece as a teenager, but the Tangieriene Cafe at the Morocco Pavilion in Epcot is to die for. Crunchy, sweet, and satisfying. This dessert is one of the best quick service desserts on property in my opinion! 5. Tye Dyed Cheesecake– Head on over to Everything Pop at The Pop Century Resort. If you love cheesecake you will flip over this colorful spin on a standard classic! So, What are your favorite desserts at Disney? This entry was posted in Dining and Restaurants, Dining plan, Top Five and tagged cupcake, dessert, dining plan, snacks. Bookmark the permalink.